First Day of Boost Treatment! 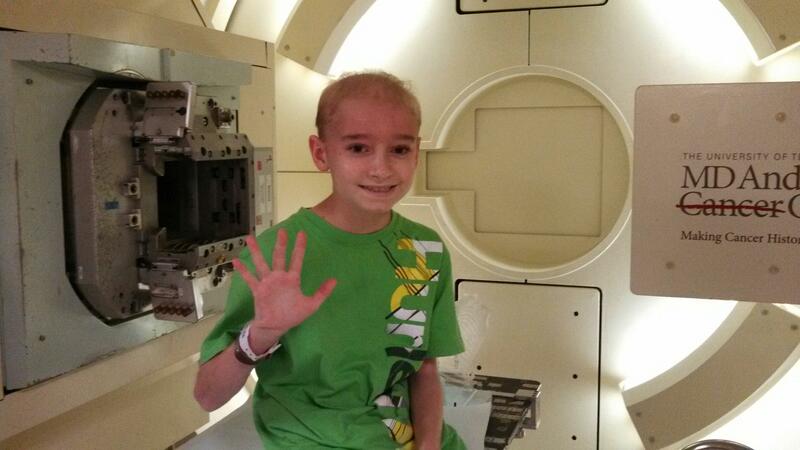 5/13/2013 | Travis the Warrior --- Kickin' Cancer! Today was our first day of boost treatment where they focus only on the tumor bed area. Our appointment was less than 30 minutes and Travis was able to walk right in and get up on the table. For the past four weeks, he has had to go in and change out of his street clothes and into a gown. But now he doesn’t even have to take his shoes off. Travis said that when they treat his whole head, there is this sensation of seeing a blue light and the smell of Clorox which comes from the radiation playing tricks on the brain. Now with the boost treatment, all of that is gone. Yeah! It is great having our appointments earlier in the morning now so that we have time to do a few things as simple as they may be. On the way home, we went by Trader Joe’s for some provisions. Travis was craving sushi so that is what we had for lunch. We capped things off with a Blizzard from Dairy Queen. We spent the rest of the afternoon working on school work so that Grandma can take a packet back with her tomorrow. Having Mrs. Roberts preparing packets for us every week has been so great! It helps keep us connected to the class and also brings a sense of normalcy to keep us grounded. Thanks Mrs. Roberts for all your extra effort in teaching Travis from afar (although not that far with all of today’s communication)!